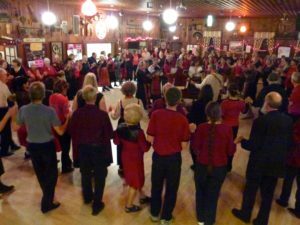 Annual Red & Black Ball folk dance party, Saturday, March 23rd 7:00 pm-10:00 pm. Wear something red and black. We’ll dance to GRADINA, Sonoma County choral and music group, as well as recorded music. Adults: $5 (plus tips for the singers/musicians). Children are free. Bring food to share.